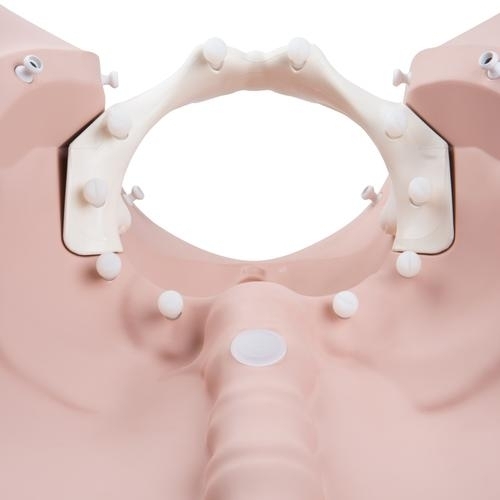 The trainer consists of a set of 6 inserts that show the level of cervical dilation and effacing. The inserts can be used both as stand-alone trainers and as an extension module for birth simulator P90. The inserts look the same from the outside, but indicate, using a number code on the back, the condition of the cervix on the inside.